A revolutionary new fat-reduction and body sculpting procedure, CoolSculpting was developed by top Harvard scientists. Based upon scientific research that shows cold can be applied non-invasively to remove fat, CoolSculpting targets fat cells at a temperature that causes them to naturally shrink and die without harming nerves or other tissue. As this happens the patient’s own body metabolizes and naturally eliminates the fat cells, resulting in a significant decrease in the overall fat layer and a noticeably slimmer physique. 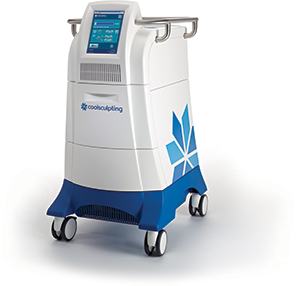 Your health care professional will use the CoolSculpting device, which targets unwanted fat by drawing it into a cooling device using suction. Typically the entire procedure takes no more than an hour per treatment site. After the device is removed, the fat cells cool and almost immediately begin to be eliminated. Best of all, not only is it safe and effective, because CoolSculpting is a non-surgical procedure there is no anesthesia required and little to no down time. Some patients will need only one treatment, while others achieve best results with a package of treatments that allows for full body contouring. It depends largely on the goals of the patient. Most patients can expect to achieve full results within a few months of treatment. Fat cells are slowly eliminated from the body and noticeable results are often evident in just 2-4 months. It’s important to remember that not every patient responds to his or her CoolSculpting™ treatment the same way. Some will need to repeat their treated area, but most will see visible results in a few months time. Some patients experience minor bruising, tingling, numbness or discomfort during or after their CoolSculpting™ procedure but this is temporary. Typically you can expect to return to normal activities immediately afterwards. Who benefits most from CoolSculpting™? 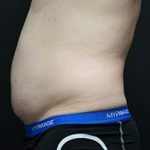 Ideal candidates for CoolSculpting include those with stubborn pockets of fat on their bodies (particularly love handles, belly fat and saddle bags) that are resistant to diet and exercise. 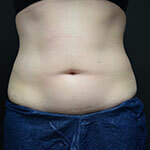 During CoolSculpting, the treated fat cells are eliminated. As long as you maintain a healthy weight and lifestyle, your results should be maintained long-term. Call us to set up a free no-obligation consultation. We will review your goals and develop a personalized treatment plan for you!